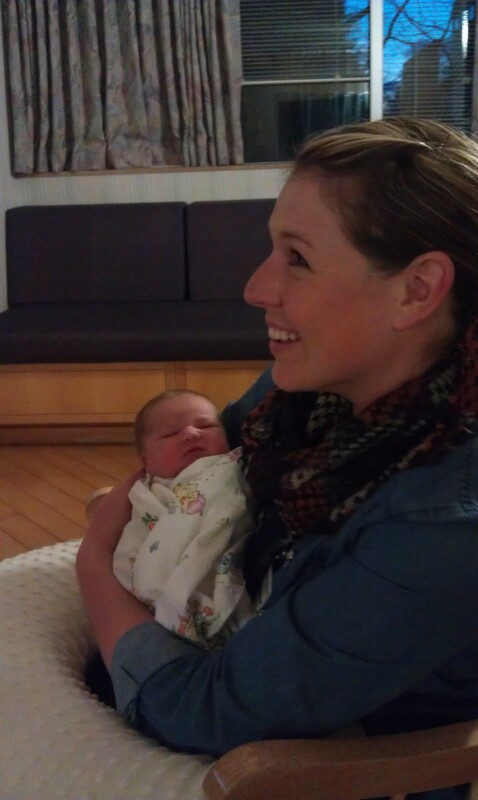 My new little niece, Gwen Elizabeth! I’ve always said that farming isn’t just about the business, it’s also a lot about family and a legacy to pass on for the future. So here is the latest addition to our family’s next generation!! 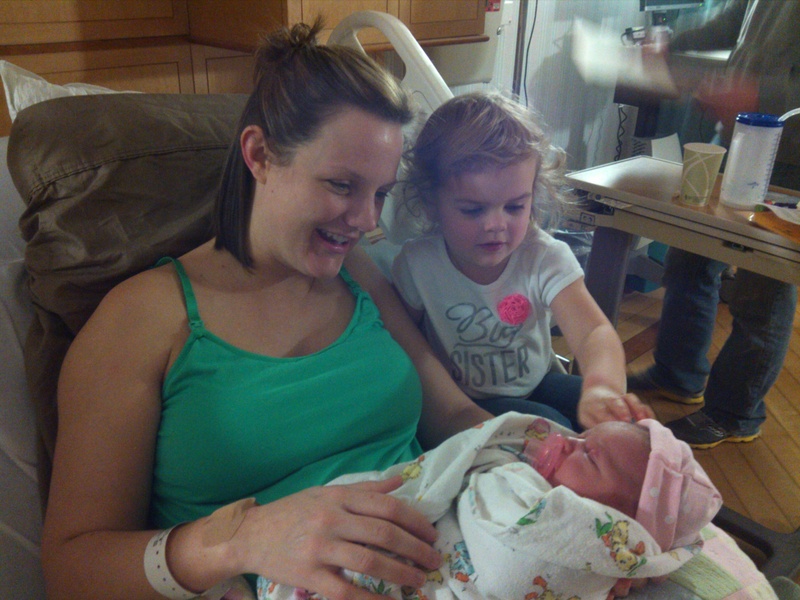 Gwen was born on March 3rd, at 3:32am. 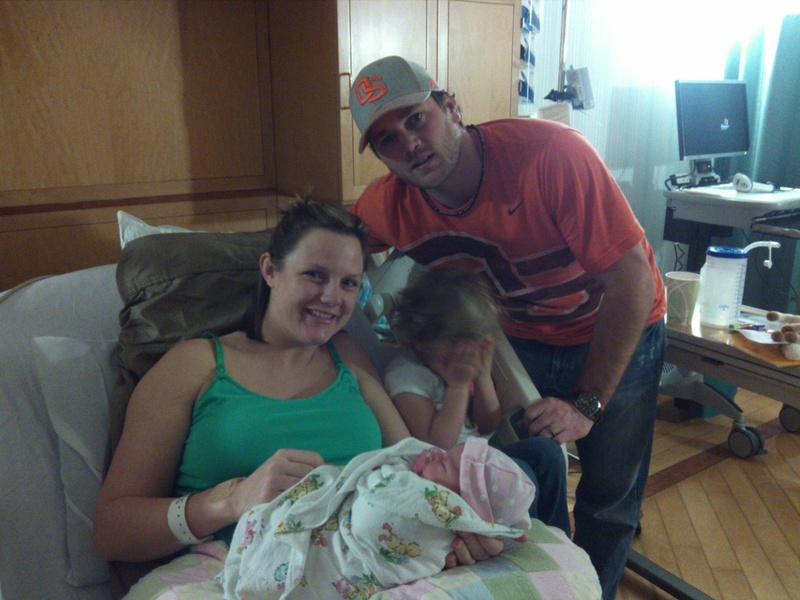 She weighed in at 8lbs, 12oz and 20 inches long. This might seem like a big baby, but she’s nothing compared to her mom, aunt and uncle. We all weighed in at a whopping 9.9, 10.12, and 9.9 respectively!! 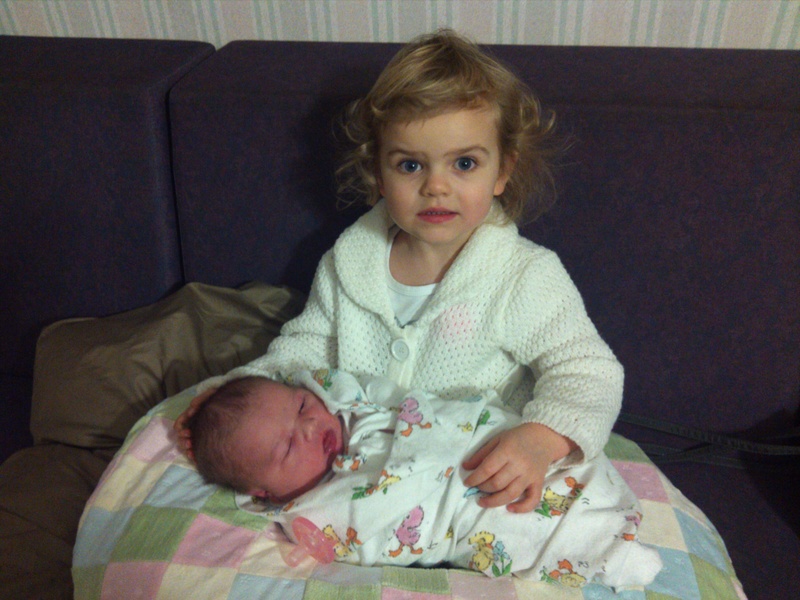 Lila is a great Big Sister!! 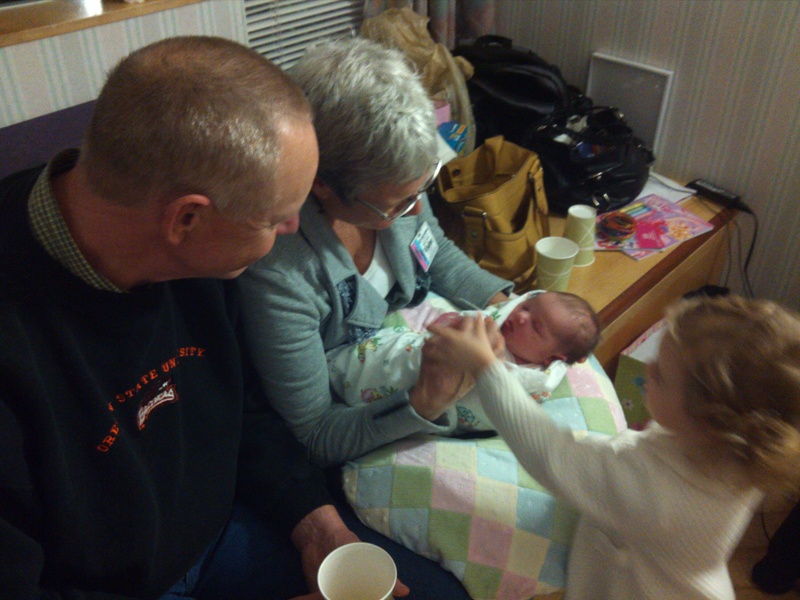 Gwen and Lila with Papa & Mimi! Sorry we missed you yesterday. We got a chance to see the rest of the family. I agree with what Big Marian said. Kirsch women are all good lookers. So presh!! Can’t wait to meet her. Thanks for sharing, Brenny!